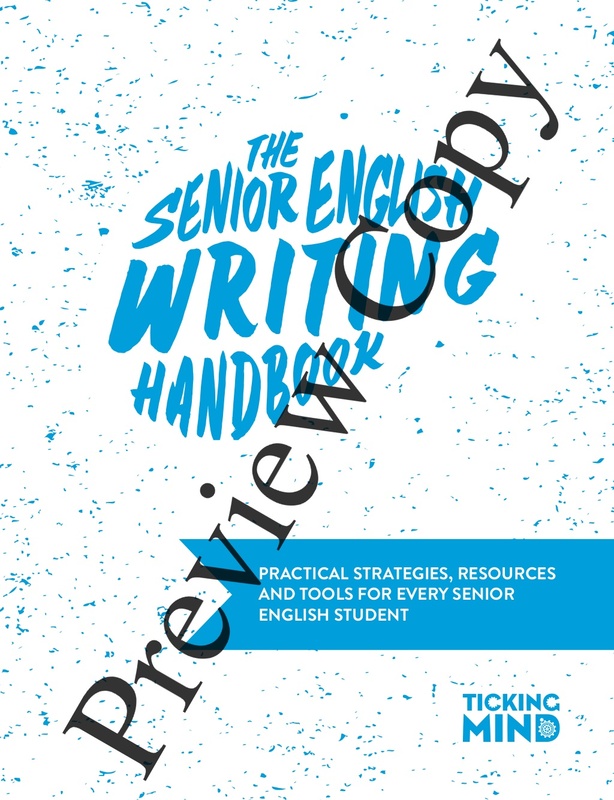 The Senior English Writing Handbook is the most comprehensive and practical resource on the market to help students write successfully for VCE English. The third edition includes rewritten chapters on creative response to texts and analysing argument that provide students with a clearer, step-by-step guide to producing these text types. There has also been some minor revisions to the other chapters, including new sections in the analytical response to texts chapter on writing about historical setting and writing about poetry. See a complete preview below. Information on ordering the text is at the bottom of the page. The Senior English Writing Handbook (3rd Edition) is now available for order as a print textbook for $41.95 (plus postage). The ISBN of the textbook is: 978-0-9944258-1-2.